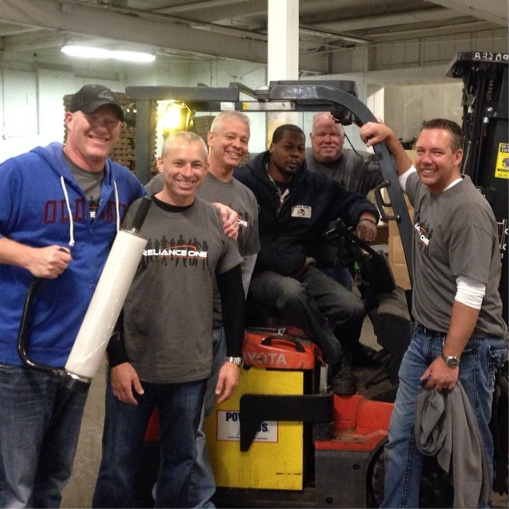 Last Thursday, the Leadership team at Reliance One volunteered their time with Focus Hope. The team was responsible for handing out food to those that visited the distribution center. This required communication with the Focus Hope team to ensure the supplies were fully stocked. Most R1 members stated that this was the highlight of their day – the customer service focus was easily translated from the daily tasks performed at Reliance One. “I thoroughly enjoyed interacting with the individuals that walked through the doors at Focus Hope. Most of the people there were extremely friendly and grateful for my assistance. 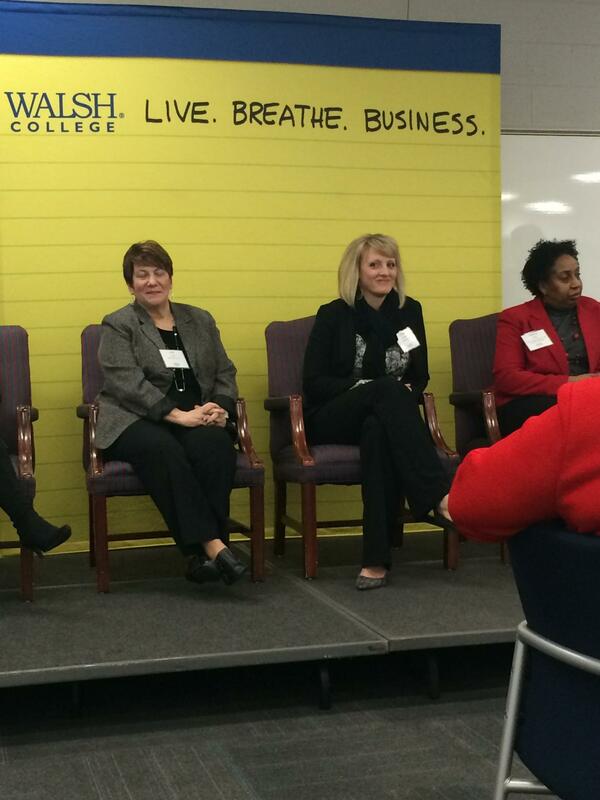 It was a great reminder of how much of an impact that a smile has,” said Rob Wicker, Director of Recruitment. “Too often we underestimate the power of a touch, a smile, a kind word, a listening ear, an honest compliment, or the smallest act of caring, all of which have the potential to turn a life around,” (Leo Buscaglia). 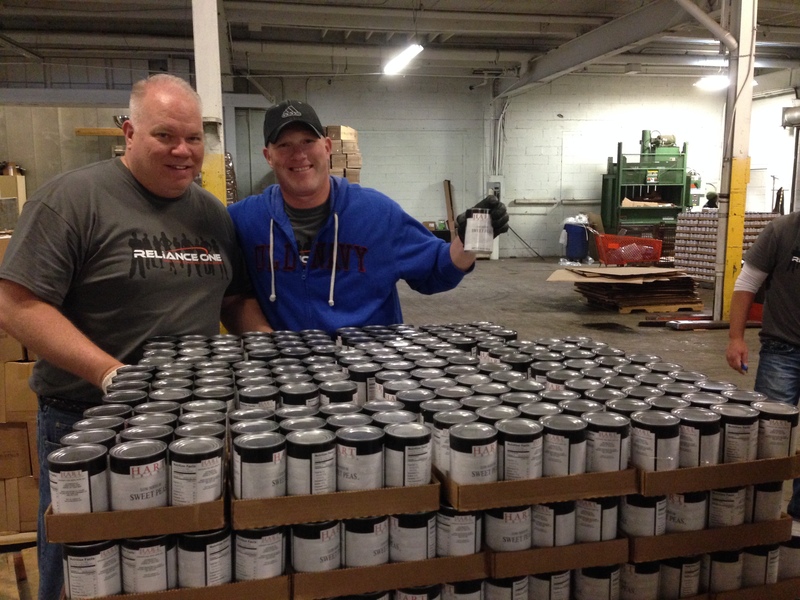 In addition, the R1 team was tasked with prepping palettes of juice and various canned goods. This activity was very physically demanding because the heavy items had to be moved and stacked in another area. The R1 team learned that following a pattern on the palette could prove to be challenging. Rob stepped in while stacking to ensure that the second palate was done correctly. Most people agreed that the physical demands were far beyond their regular work duties in the office. “This was one of my best days! I was really impacted by many people who I met throughout the day. It makes you appreciate an organization like Focus Hope and what they do for the community. I am already looking forward to coming back and giving to those that could use the help,” said VP of Reliance One, Jeff Gardner. Last Thursday was Reliance One’s kick off of our “Day of Service” for our R1 Impact Volunteer program! Two of our employees, Kristen and Caitlin, volunteered their time at the Forgotten Harvest in Oak Park and helped with their warehouse re-pack program. While at Forgotten Harvest, they unpacked Little Caesar Pizza kits and then repacked them for sorting and delivery. Alongside that, they inspected other food items and sorted them according to what condition they were in. Upon entering the warehouse, they were informed that the facility had strict rules that needed to be followed to ensure cleanliness. 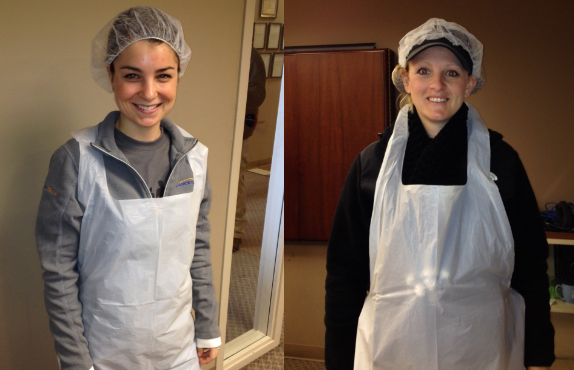 “Everyone was required to wear both a hair net and an apron. We were required to make sure our hands were clean at all times and wear gloves,” said Kristen Latimer, Administrative Services Manager. 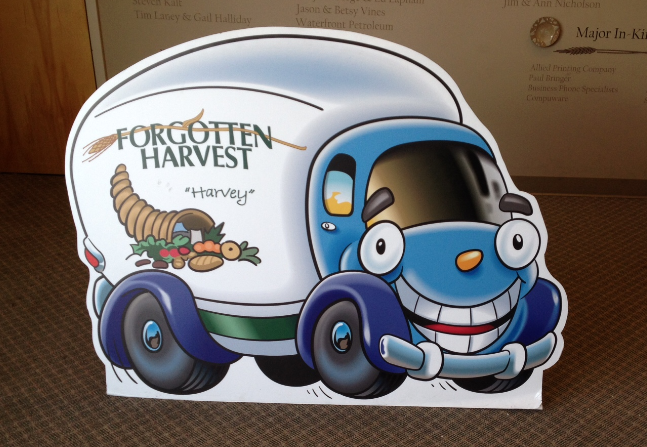 On their return from volunteering, Kristen and Caitlin informed us on how they were impacted by Forgotten Harvest and how they felt they had impacted them. They stated that they were significantly impacted by realizing how much they take for granted on a daily basis. It was a very humbling experience to realize that by making 300 pizza kits, they helped to feed 300 families. 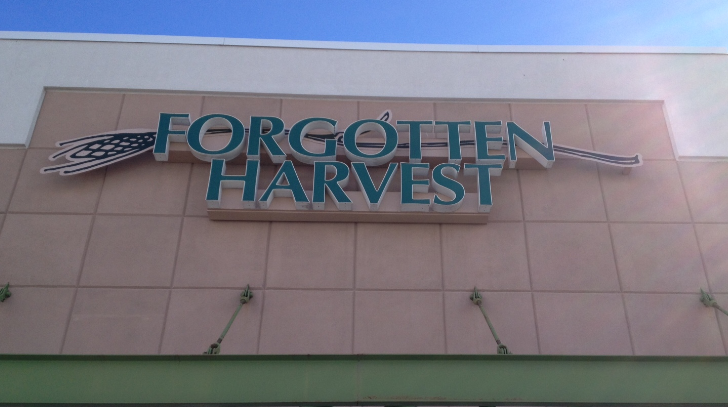 They said they felt like an impact on Forgotten Harvest by being a set of extra helping hands. Every extra hand there meant more food packages for a family in need.